Image credit: All images the property of Muenster Brewing Co. It was August of 2014 when Independent Ale Works announced in was closing its doors in Denton County, with one of the two founding partners already eyeing a new beginning to the north. Now, after a little over a year in development, Stefen Windham has advanced to the funding stage of a brewery project to be set in the City of Muenster. Muenster Brewing Co. will be located at 102 N. Main Street in downtown Muenster. The business will occupy a building originally constructed in 1940, with space available for a 1000 square foot taproom and a 4000 square foot production area. Once the site of an automobile dealership, the structure will be re-purposed to house the first known brewery to exist in Muenster and surrounding Cooke County. 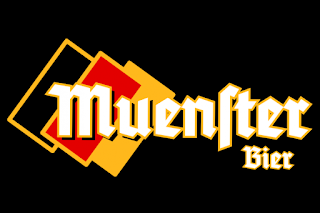 The brewery's address is also just a short distance from Muenster Heritage Park, which is home to the city's annual Germanfest and Oktoberfest celebrations. These events are part of a local culture with German roots that date back to when the city was founded in 1889. It's appropriate, then, that Windham's vision for the brewery is to focus on crafting traditional German styles. That's a departure from the approach taken at Independent Ale Works, but Windham says he has always favored German brews. "There is so much variety with German beer," he explains, "and I've always said that if you can't find a German beer you like, then you must not like beer." Referencing long-standing German traditions, Windham recognizes that to be able to execute German styles, and execute them well, the company's brewing process will have to be technically exacting. Using the 1000 year-old Weihenstephaner brewery as an example, he notes that "Germans have had a long time to perfect the art of beer." To develop the brewery's own best practices, Muenster Brewing is working with an equipment manufacturer to custom design a setup that Windham says, "will utilize a number of innovations allowing us to brew beer to exacting quality standards. It is highly efficient and will have the ability to outproduce a system three times its size." Upon completion, Windham indicates the brewery will be the only one in the world to utilize the system in a craft brewing environment. Active now, like other crowdfunding initiatives, rewards are offered for different contribution levels. Donation amounts ranging from $5-$6000 will get you anything from a free pint of beer on opening day, to taking part in a brew day while enjoying accommodations at local lodging destinations. Once the campaign closes, if all else goes according to plan, Windham expects to open for business in late spring or early summer 2016. He intends on operating as a production brewery, as opposed to a brewpub, with a bottling line in the forecast to provide packaged products for distribution. That aspect, according to the prospectus, will be handled by Miller of Denton, with initial deliveries being limited to accounts within a 100 mile radius of the brewery.